Jan is back with another beautiful project! I am loving Wednesdays! Heck I am loving every day of the week! Please leave Jan some love! Hi all. This is Jan and I'm back this week with one more idea for Halloween. This is a relatively easy project with just a few basic items a lot of crafters will likely have on hand. 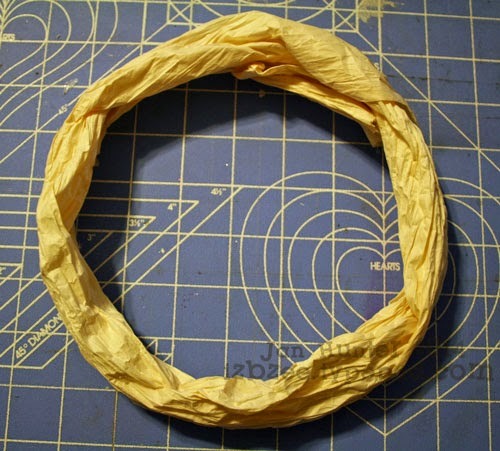 Cut a piece of Paper twist about 2 inches longer than the circumference of your hoop. Untwist the paper twist and smooth out a bit. 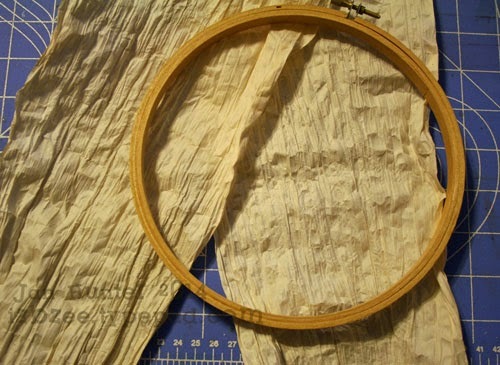 Wrap the twist around the hoop -- securing to the hoop with glue gun. You want to be able to scrunch and do a little shaping for dimension. 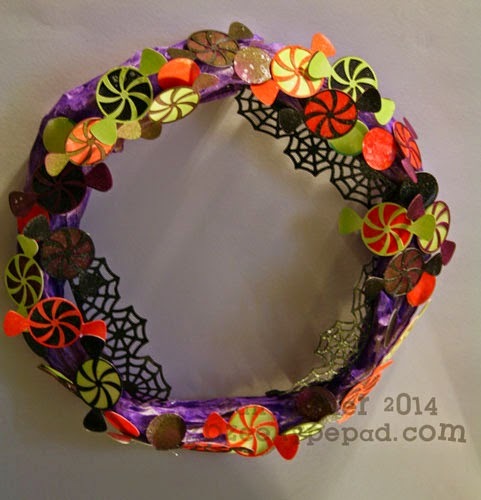 Now, set that aside while you cut all the embellishments for your wreath. 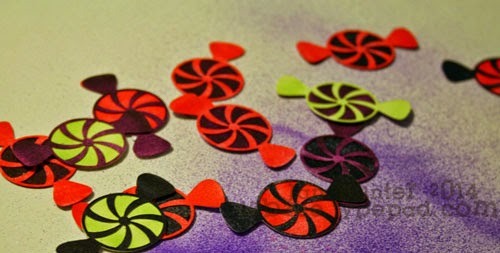 For a 6 in wreath 48 candy cut outs will work perfectly. Once everything is cut, choose your colors and start spraying each of the elements as desired. (HINT: run pieces through a sticker maker - and you'll have more control over the pieces and less likely to have really inky fingers at the end of your spraying time.) Once all the pieces are sprayed, you can layer them and they'll be ready for applying to the wreath. While you have your eBrush out, grab a marker of your choice (mine was purple) and spray the wreath. Don't forget to spray the back too. 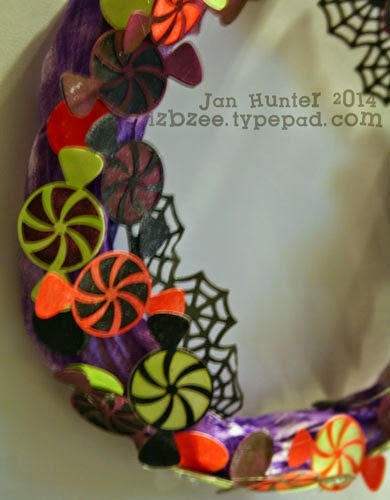 Now put all your embellishments on your wreath (the adhesive on the back of the candy elements will hold temporarily while you get everything where you want -- use a glue gun to secure. You can add a little bling with some shimmer mist or glitter if you like. Add some string or ribbon to hang or just lean it up against a wall or in the bookcase for a nice touch. With the rest of the winter Holidays fast approaching, I'm betting your heads are swirling with ideas on how you could make a holiday wreath for you home or as a gift! Happy Crafting! Drop by my blog for more details and other ideas on using Craftwell's eBrush on your creative projects! Jan you have wonderful ideas and your execution is flawless! don't forget to join eBrush by Craftwell Facebook group! I love this one ! Jan so cute and you can do so much with the base. Great idea! Great job Jan! Fabulous wreath! This is so beautiful Jan! Love the wreath!